What To Do First? Let’s Purge on the Porch! I arrived at Ann’s house on a sunny, though cool, morning. She showed me several project areas in the house, and wondered what we should do first. We had three hours to make a dent. I suggested that we work on the back porch. The family enters the house through it, so was always reminded that it needed work. 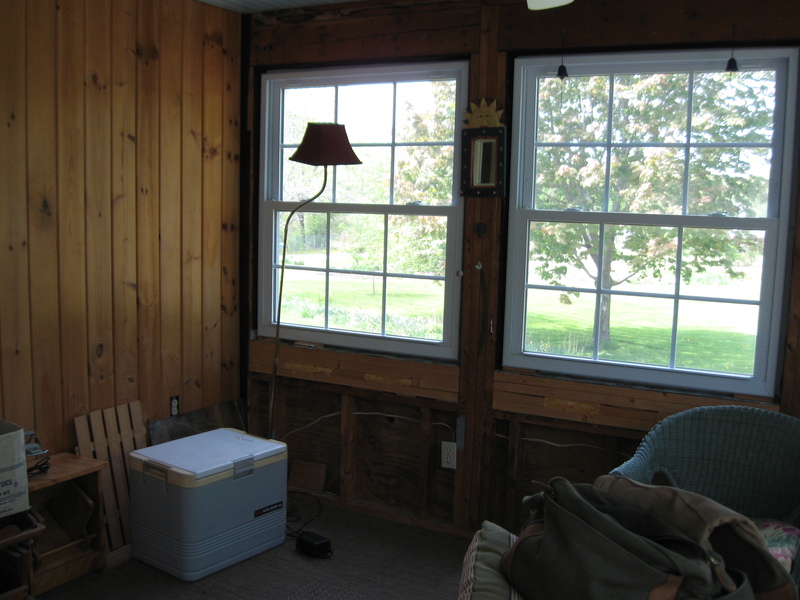 Also, once its contents were contained and the family could use the porch again, that more positive energy could provide the forward “mo” (momentum) to de-clutter elsewhere. 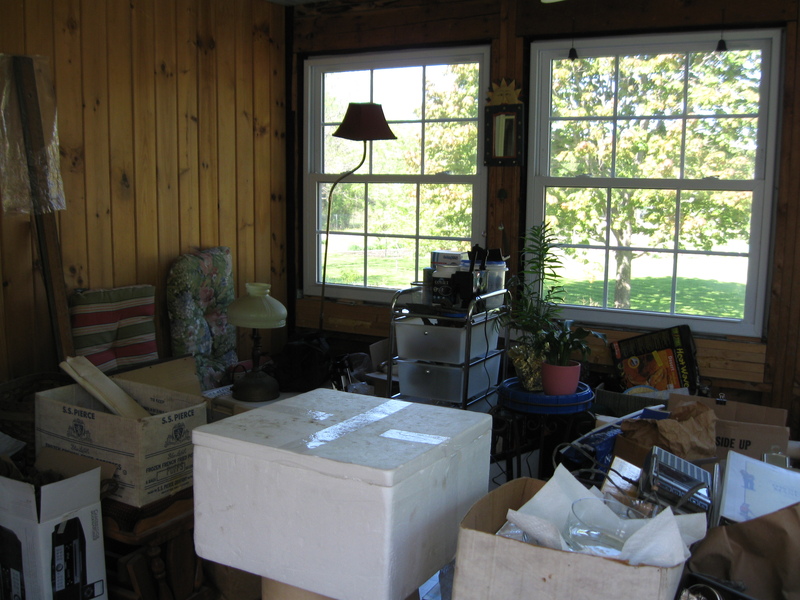 Ann’s father had died recently, so boxes of books, photos, old papers, furniture and tools from his home were stored on the porch. Our first step was sorting boxes and items by destination. We separated boxes for giving to other family members, for a bookstore, for recycling. Some of these boxes went right into Ann’s barn for storage. We put a few things down cellar, but boxes of photos, papers, old movies and CDs went to the living room for more immediate sorting and purging. Ann’s daughter arrived home when we were about half-done. She walked through the door and, surprised, just quietly said, “Wow.” We got enough done that morning to make it possible for the family to discuss where to soon place a table and chairs, so they can relax and enjoy meals there again.